Payment and Cancellation Policy: Payment is due for services rendered at the conclusion of the massage. If you are late for your appointment, you may lose part of your scheduled time with no discount given. Client is responsible for full payment of fee in the case of missed appointments or when at least 24 hours notice is not given for cancelled appointments. Free 15 minutes added to your next massage session. Gift certificate purchases will not count toward referral rewards. Referral Rewards are issued following the referral’s first session and completed transaction. Referral Rewards are issued for a referral’s first session only and not issued for your referral’s subsequent sessions. Notice to Clients: – Any comments and/or behaviors that are sexually inappropriate will prompt me to immediately terminate the session and charge in full for that appointment. 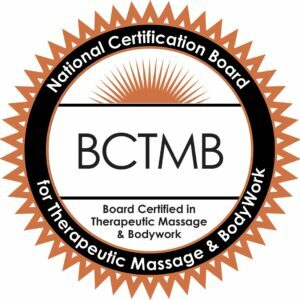 – Under no circumstances do I perform any kind of massage even remotely associated with sexual or sensual massage, ever. – You will be required to provide a valid State or Government picture ID/Driver’s License on your first visit. Right to Refuse: – I reserve the right to refuse any potential client for any reason. Draping: – Draping is a must and not an option. I follow professional massage draping protocol (sheet, towel, or clothing) with each massage. – No additional draping is necessary if the client is in clothing/outerwear. Please respect the professional boundaries that exist between therapist and client.